Likud source close to PM clarifies he maintains opinion no need to establish corporation, no point in allowing to proceed. 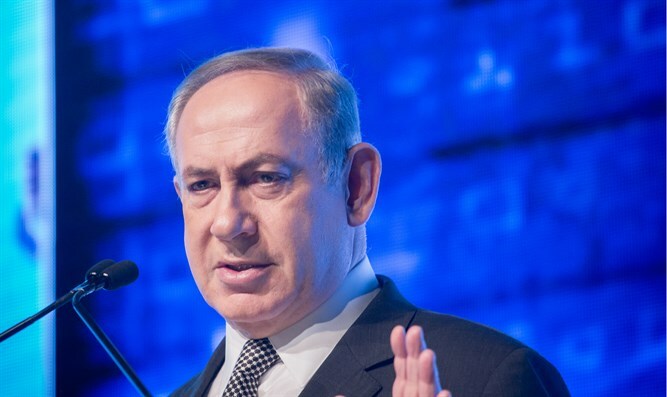 A Likud source close to the Prime Minister said tonight (Monday) that Binyamin Netanyahu did not agree to any outline related to establishing a new broadcasting entity and as far as the PM is concerned, it will not arise. "Contrary to media claims, the Prime Minister did not agree to any outline related to the corporation," the official said. In the afternoon Education Minister Naftali Bennett (Jewish Home) related to the crisis over the corporation. "For me, as leader of the nationalist Right, as long as the right wing government continues to implement the Right's policy it may continue its work," explained Bennett. Bennett said, "They told me in the last few days that as a party we should go to elections now but we all decided to do everything possible to bridge and reconcile this unnecessary crisis". Defense Minister Avigdor Liberman estimated at the opening of an Israel Beiteinu faction meeting that elections are not expected in the near future. "No one in the coalition wants elections," Liberman said, noting that the Prime Minister also does not, "We are all reasonable people." "Netanyahu's demand regarding the corporation has basis in the coalition agreement," said Liberman. "We must preserve the Prime Minister's honor. We will reach an agreement ". Liberman went on to explain that he sees no possibility to replace the government, "there is no alternative option to the government."